The ribbon of azure blue on the horizon imperceptibly draws closer as the sun brightens up the water, illuminating shades of aquamarine. 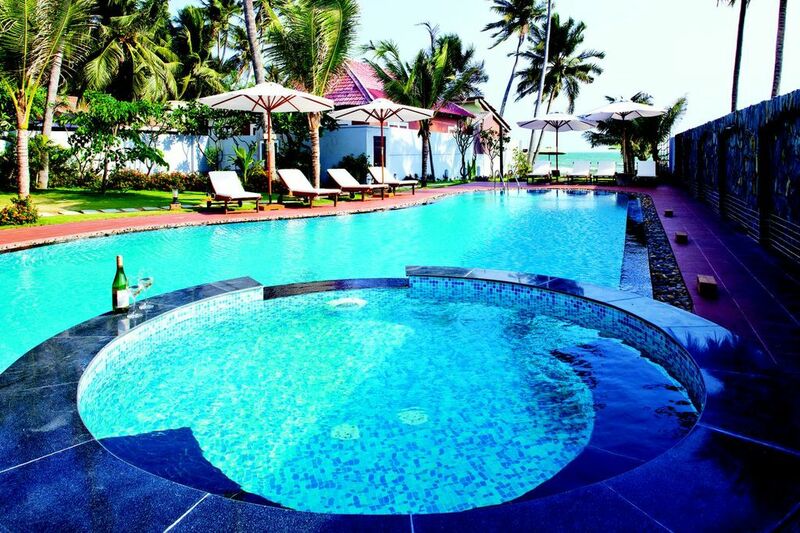 We’re in Mui Ne, a small seaside retreat just four hours from Saigon. With better beaches than Vung Tau and closer and less expensive than Nha Trang, Mui Ne makes the ideal beach getaway. 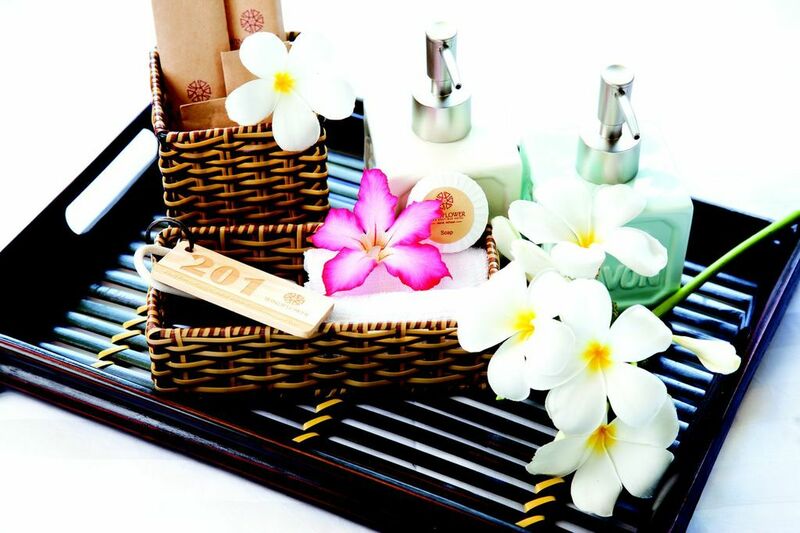 Long in the shadows of more well-known beach towns, Mui Ne in recent years has come into its own. Literally meaning “Promontory of Escape” for the jut of land on the far side of town that provided safe harbor on both sides for ships in distress, Mui Ne is still blissfully a one road town with a decidedly laid back vibe.Low-lying hotels line the beach side of the road while families go about their business on the other. Our base in is the newly opened WindFlower Beach Boutique Hotel – Mui Ne, 24 rooms in one three-story building set the town of Mui Ne and the busy strip of hotels, pubs and restaurants to the west of town. Built in 2012 and opened this April, the WindFlower makes the most of every inch of its long, narrow plot. Guests are greeted by the sight of a lush green manicured garden filled with palm and banana trees and windflowers(aka pinwheels) to the cerulean blue of the pool to the darker ultramarine of the ocean beyond. Future guests can also look forward to a garden spa, electric cart shuttle service and BBQ nights. Danny, the General Manager, pads by on his bare feet to mingle with the guests. Not only does he exude the carefree vibe of the hotel, his bare feet tell him whether the floors are meticulously clean to his liking. Jo and her 15 friends are here from Saigon, supporting their friends doing a triathalon. “We found WindFlower through agoda.com and they were able to accommodate all of us. It was on the right side of town and the price was good. We were welcomed very nicely and everyone tries hard,” she says of the property as their group lounges around the pool and jacuzzi, recalling the refreshing dragonfruit welcome drink, one of the specialties of the region and creatively served in its own lipstick pink shell. Indeed, the Fairy Stream is literally steps down the road, a relaxing place for a romantic afternoon picnic. Wading through ankle deep cool waters past a 2km gauntlet of striking red and white sand cliffs leads to a small waterfall which is especially scenic during the rainy season. Or guests can head in the opposite direction for the family fun of the red sand dunes, renting a plastic mat from entrepreneurial local kids for a slide down the slopes. “The dunes used to be much higher,” remembers Thao, 23, a Mui Ne native. “Or maybe it’s just because I was a lot smaller then.” Both attractions are free to visit. For the more adventuresome, a jeep can be hired for a half-day trip out to the white sand dunes of Bau Trang, about 35km out of town, past the wide Hon Rom beach so popular with Vietnamese beachgoers, past fishermen waist deep in the surf casting their small weighted nets along deserted beaches, and past vibrant turquoise tombstones in scattered family plots, brilliant against Mui Ne’s distinctive bright red earth. VND10,000 grants access to the dunes, picturesque not only for their blindingly white fine sand but also because they abut Bau Sen, a lotus-filled lake. A small shop rents out mats for sliding as well as ATVs for tootling around the dunes. 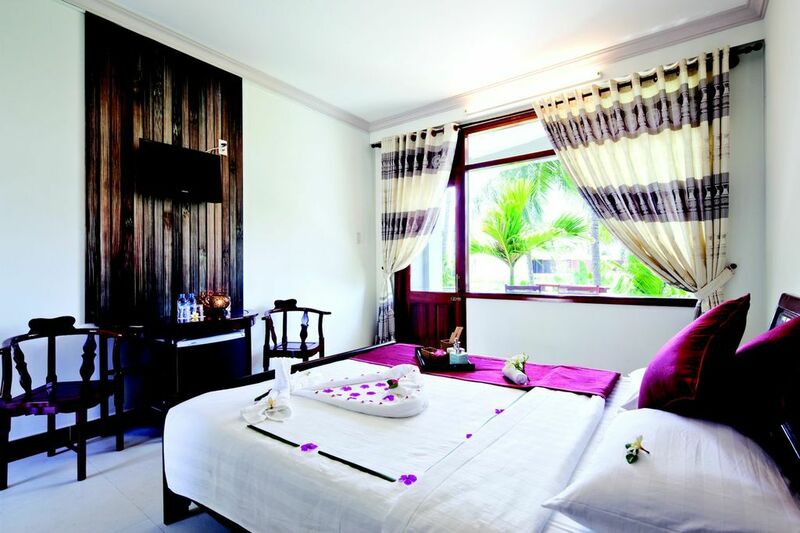 Doubles at WindFlower Beach Boutique Hotel- Mui Ne start at USD50 including breakfast, quads available from USD70. The hotel’s fullservice restaurant is open from 7am to 10pm. Contact www.windflowermuine.com or phone 062 374 3969 or 090 291 3969 (English). Wow, the pool looks great, how is the beachfront? I usually stay much closer to the first stretch of Mui Ne, but will go have a look next time I’m there. The property is long and narrow, but the beach was nice and clean. On both sides, you’ll see fishermen with their circular basket boats which gives the beach a local feel. There are plenty of loungers scattered throughout the property which gives it a very restful feel! Have a great time!